Massport’s plans for Logan Airport include reconfiguring the access roads for terminals B and C.
Brace yourself: The often maddening trip into and out of Logan International Airport is about to change radically as the airport undergoes its most significant transformation in decades. To start, later this year Uber and Lyft drivers will likely be diverted to pickup and drop-off spots in the airport’s central garage, away from the terminals. The crazy vehicle ramps between terminals B and C are being rebuilt, to improve traffic flow. A parking garage with 2,000 spaces will rise next to Terminal E. Logan Express shuttles will leave from new departure points, and the size of the airport’s Silver Line fleet will double. Peer a little further on the horizon, five to 10 years or so, and the revamp gets more radical. Forget about asking a friend or family member to drop you off in front of the terminal: Airport officials are moving toward limiting curbside access, so that only buses and other high-occupancy vehicles can pull up. As an alternative, though, you may be able to ride a monorail-like system from the Blue Line or the ferry dock. The costs will total in the billions, but the need is real. Massachusetts Port Authority officials say they need to keep up with soaring passenger traffic, a trend that’s expected to continue. And the scale of change coming to Logan is so great that Massport officials are brainstorming catchphrases to capture the sense of all that work. Massport officials said the revamp is needed to keep pace with the airport’s projected growth: as many as 47.6 million passengers a year by 2024, a 17 percent increase from 2018. 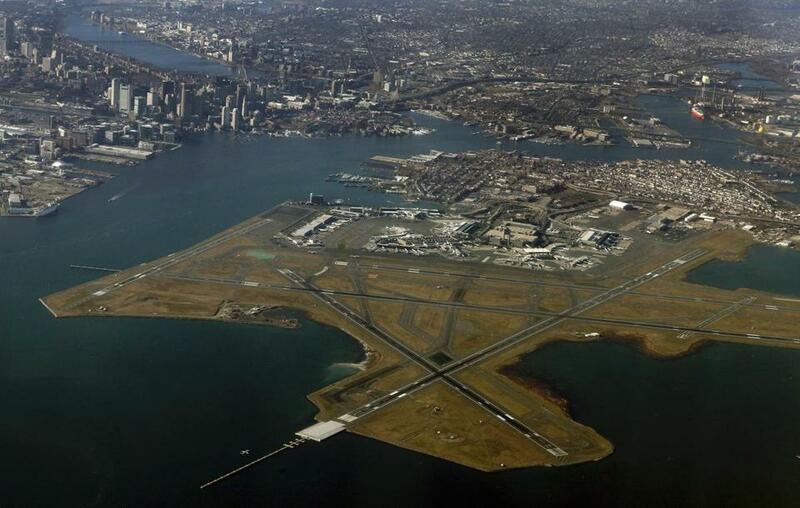 Massport is one of a number of airport operators in the United States looking to capitalize on the strong economy and relatively low interest rates with ambitious construction plans. The to-do list at Logan includes significant construction at the terminals. The site of a notorious traffic weave, the access roads for terminals B and C will be completely redone; Terminal B is already under renovation; and dowdy Terminal C, home to Logan’s busiest airline, JetBlue Airways, is also getting a substantial makeover that will include a new connector providing passengers direct access to terminal B without going through security checkpoints again. Much of the new work will begin later this year and accelerate in the following months. Terminal E, meanwhile, is about to get much bigger, with renovations to the existing building and a nearly 400,000-square-foot addition. The result, Massport said, is a much more organized terminal, with seven new gates, additional security lines with automated screening, and more room in the ticketing, concourse, baggage, and waiting areas. Massport officials said the revamp is needed to keep pace with the airport’s projected growth: as many as 47.6 million passengers a year by 2024, a 17 percent increase from 2018. There are already some 1,200 takeoffs and landings every day at Logan — and dozens of new domestic flights are on the way, led by aggressive expansion from JetBlue and Delta Air Lines. In just the last five years, the number of passengers coming through Logan has increased by 10 million, or more than 30 percent. And so Logan faces a crossroads. It is one of Greater Boston’s most important economic assets, helping persuade companies such as General Electric and Wynn Resorts to expand here. But the airport could become a victim of its own success if congestion worsens on Logan’s roads or at the nearby harbor tunnels, or if already weary residents of East Boston push back harder at all the additional traffic. Guiding Logan through these changes will likely be the toughest challenge facing the next chief executive of Massport, after the recent departure of chief Thomas Glynn. Then there is paying for it; already, acting Massport CEO John Pranckevicius said the authority is making plans to borrow up to $1 billion over five years for the first wave of projects. Some of the measures Massport is undertaking arise from an agreement it struck in 2017 with the Conservation Law Foundation, an environmental group. For example, in exchange for adding as many as 5,000 new parking spaces in the airport area, Massport agreed to pay for eight new Silver Line buses that will increase service to and from South Station. The authority will also add new Logan Express shuttle options, potentially in Cambridge or out along Route 128. Massport officials are also devising ways to limit vehicle access to the terminals. They are considering eventually only allowing high-occupancy vehicles to pull up to the curb. First they are planning to restrict all Uber and Lyft rides — pickups and drop-offs — to locations in the central garage by sometime this fall; currently those services drop off travelers directly outside terminals. Ride-sharing services are seen as a major culprit in Logan congestion. 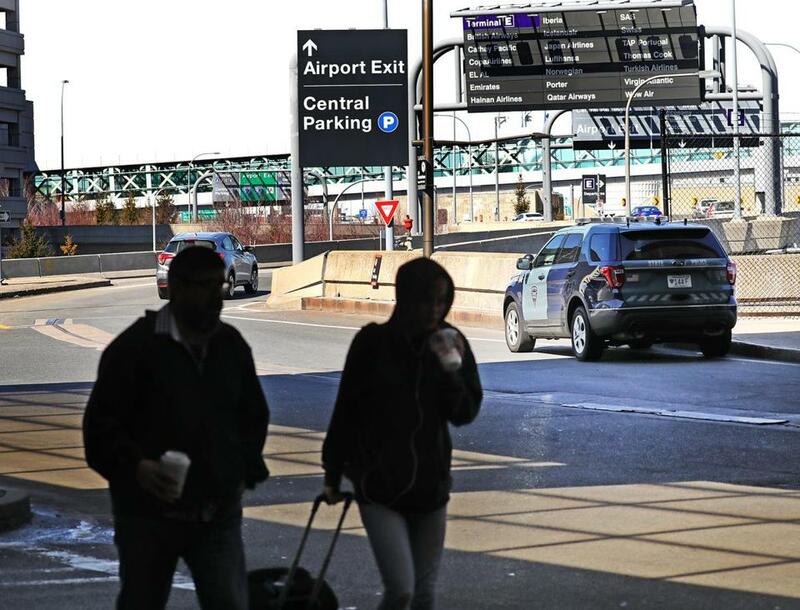 There were 8,000 ride-sharing pickups a day at Logan in 2018, up from 5,000 the year before; meantime, the number of taxi pickups each day declined, to 4,650 in 2018 from 5,400 the year before. While Logan has the highest percentage of travelers who arrive at a US airport by various modes of public transit — 30 percent — Pranckevicius said Massport has to get that number even higher. “We recognize for the airport to continue to be the economic engine that it is for the state of Massachusetts, it is imperative that we figure out some creative ways to get passengers out of their cars and into the airport using other means,” Pranckevicius said. The most ambitious of the transportation ideas is a so-called people mover, which Massport currently envisions as a monorail-like train that would run between the Blue Line Airport station and the ferry to downtown Boston, and stop at every terminal. This could remove a huge volume of traffic from Logan’s congested ring road. Massport estimates a monorail would be much faster than the current shuttle buses, especially during high traffic periods. For now, Massport is spending $15 million to have a technical analysis done of the idea. Pranckevicius said the agency’s board of directors may discuss moving the project forward at its next meeting, in February. The entire project would cost as much as $1.5 billion and take as long as a decade. In its agreement with the Conservation Law Foundation, Massport pledged to increase the percentage of travelers arriving by high occupancy vehicles — buses, boats, and trains — to 40 percent by 2027. It’s unclear whether these changes will be enough to satisfy East Boston residents who believe the current level of traffic at Logan is already at a tipping point. Some local streets are often in gridlock from traffic backing up at the Sumner tunnel; volume at the Sumner and Callahan tunnels rose 35 percent over the past five years and 21 percent at the busier Ted Williams. While not all of that is attributed to Logan, residents say Massport has to shoulder some responsibility for fixing the problem.